James (Jim) W. Briscoe age 68, of Devine, Texas passed away on Friday, February 22, 2019 in Devine, Texas. Jim is preceded in death by his parents, George Hansel Briscoe and Inez Rudell Briscoe; son, Curtis Bryan Briscoe. 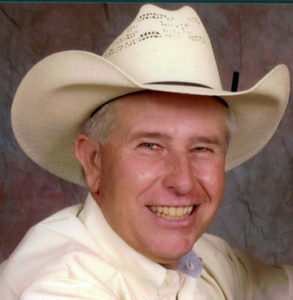 Jim is survived by his wife, Debra Briscoe of Devine, Texas; son, Casey and wife Brittany Briscoe of Lytle, Texas; daughter, Carly Parson and husband, Chad of Devine, Texas; brother, Ray Briscoe and wife, Lura of Three Rivers, Texas; Grandchildren, Casen Briscoe of Lytle, Texas; Harper, Yancey, and Briar Parson of Devine, Texas. Pallbearers – Casey Briscoe, Chad Parson, Larry Carter, John Frizzel, Jim Steinbaugh, Ronnie Harrison, Albert Lowry, Kyle Wanjura, Ben Briscoe, Denny Moore, Mike Coyne. Memorials can be made to St. Jude Research Center. Visitation was held Tuesday, February 26, 2019 from 2:00 P.M. until 9:00 P.M. The family will receive friends from 4:00 P.M. until 8:00 P.M. Hurley Funeral Home Chapel Devine, Texas. Funeral Services will be held Wednesday, February 27, 2019 at 10:00 A.M. at First Baptist Church Devine, Texas with interment to follow in Evergreen Cemetery. Next Next post: Cruz M. Pena, Jr.